Smart home technology, accessible voting and AT news from around the state. 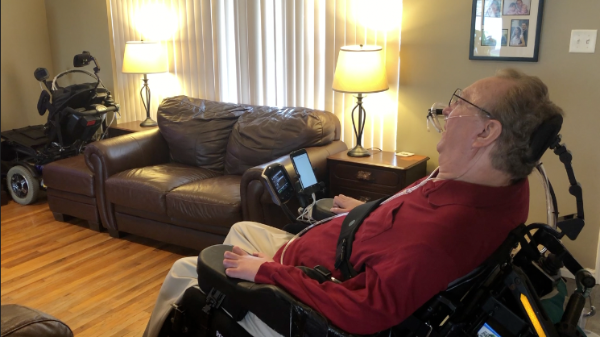 A look at smart home technology, training on Google Home and Amazon Echo as AT devices, and more assistive technology news from around the state. Tours of Utah State University's new smart apartment available now! Utah State University's newest building on the Logan campus includes a state-of-the-art smart apartment, stocked with assistive technology that can help people with disabilities live more independently. It is located in the Sorenson Legacy Foundation's Center for Clinical Excellence, within the Emma Eccles Jones College of Education and Human Services at USU. The university celebrated its grand opening earlier this spring. Want a tour of the smart apartment or a look at our library of devices? 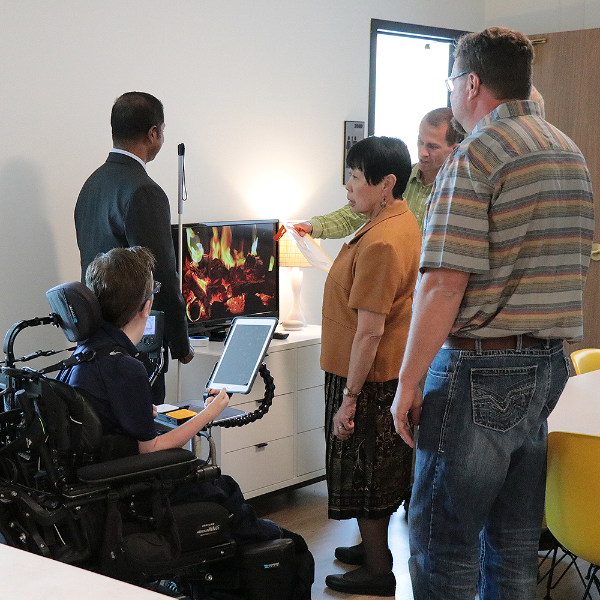 UATP has spent thousands of dollars over the last year to increase the number and variety of assistive technology available for demonstration in the smart apartment, as well as UATP's Logan and Uintah Basin locations. Contact Clay Christensen to set up a tour in of the smart apartment or the Logan UATP's demonstration library. For demonstrations in the Uintah Basin, contact Cameron Cressall at 435-722-1714. If you've thought about using Echo or Google Home as smart home technology, this is is for you. In our latest training video, tech experts Bryan Carroll and Kent Remund delve into the world of digital assistants, comparing performance between devices, demonstrating the possibilities and telling viewers how to get started. Their presentation is remarkably well-researched. It covers these topics: A basic comparison of Amazon Echo, Google Home and iHome technology as voice-activated assistants (5:00); home entertainment using Amazon Echo and Google Home devices (11:48); a "smart home" demonstration with Echo and Google (14:50); phone calls using Echo and Google devices (20:13); web searches using Echo and Google (23:14); third party skills like local traffic info, checking the credit card balance, etc. using Echo and Google devices (26:02); and what you need to get started (29:29). This production was made possible by the Utah Assistive Technology Program, with expertise from the Utah Center for Assistive Technology. If you have follow-up questions for the presenters, contact Bryan Carroll or Kent Remund at 801-887-9380. UATP keeps student rolling in the horse arena. 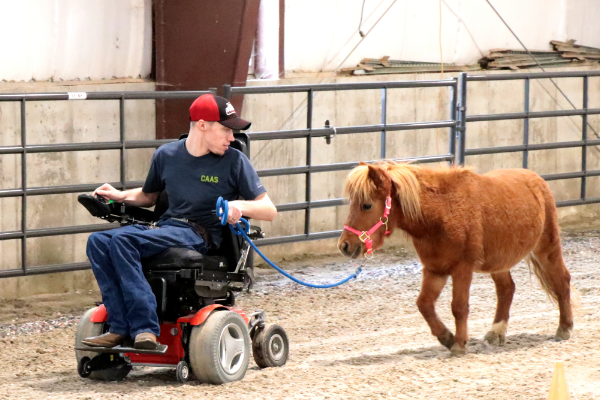 A specialized wheelchair from the Utah Assistive Technology Program makes it possible for Jack Charlesworth, an equine science student, to work with horses and volunteer in equine therapy programs--as well as keep his program informed on accessibility in the arena. For more information on assistive technology available for demonstration and loan, or if you need some AT customized for a particular need, contact UATP at 1-800-524-5152. Utah Assistive Technology Foundation's low interest loan took some of the pain out of van-shopping. 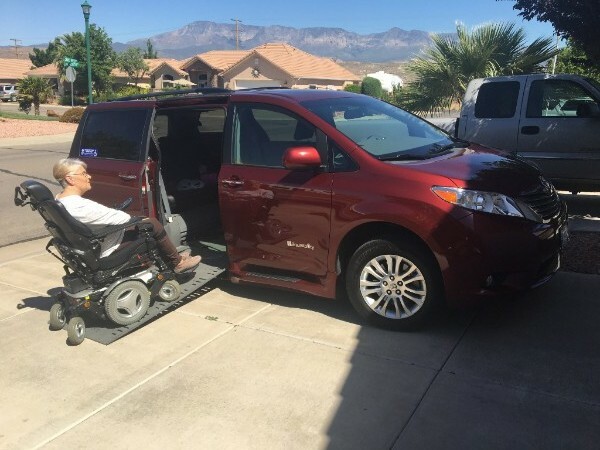 Ethelyn Humphries's family needed a new-to-them, wheelchair-accessible van with a ramp. So they turned to the Utah Assistive Technology Foundation and applied for a low-interest loan to help pay for it. Humphries applied and received an email back that she was approved for a reduced-interest loan. "I didn't do anything more than that!" she said. "The interest rate was just unbelievable. ... it just made the whole process less painful." To find out more about small grants and low-interest loans for assistive technology devices and equipment, as well as reduced-interest business loans for entrepreneurs with disabilities, visit our website. Photo text: Will you be a mystery voter? The primary election is coming. We're looking for voters across Utah to hep us improve the election experience for voters with disabilities. Mystery voters will vote at a poling place on a voting machine and tell us about it. 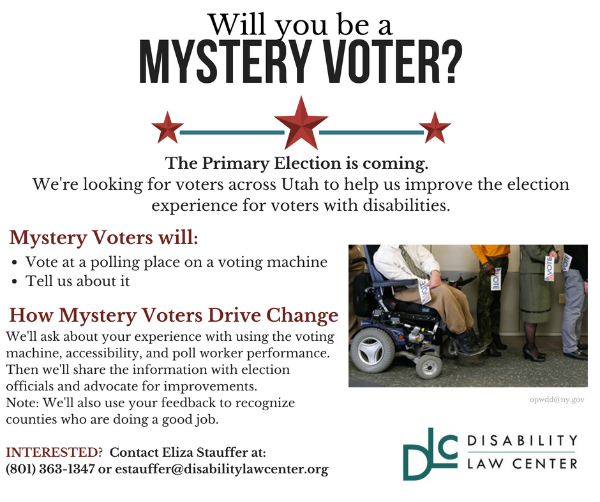 How mystery voters will drive change: We'll ask about your experience with using the voting machine, accessibility, and poll worker performance. Then we'll share the information with election officials and advocate for improvements. Note: We'll also use your feedbback to recognize counties who are doing a good job. Interested? Contact Sheri at (435) 232-4269 or snewton@disabilitylawcenter.org. The Utah Assistive Technology Program is part of the Center for Persons with Disabilities at Utah State University. Copyright © 2016 Utah Assistive Technology Program, All rights reserved.